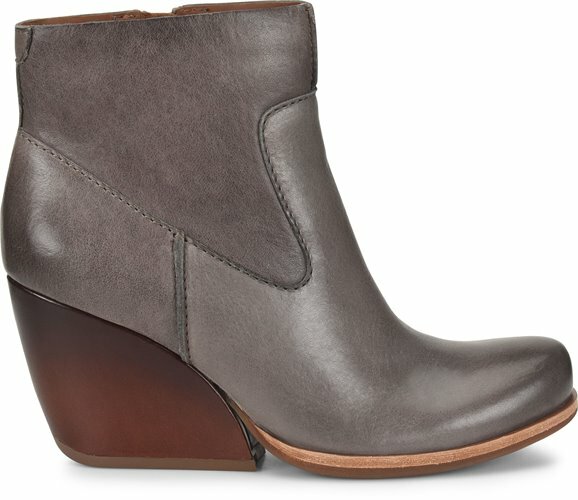 These are the most comfortable and sassy booties, I have the rum and grey, you will very satisfied, I’m not a heel wearer but these make it all good and my feet are not sore or tired.... the colors are gorgeous, waiting for the black to go on sale!!! I bought a pair of these boots in black in 2014. I'm wearing them today and they look brand new...I think I may need to buy a second pair in brown because I wear them so much. 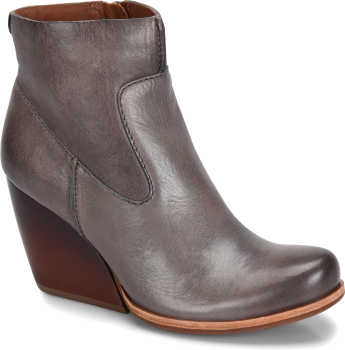 They are extremely comfortable for a tall heel (a cork wedge! amazing!) and I get a ton of compliments on them. They have enough character to stand out but they're also a classic. I've never written a review of any product before, but these boots deserve one.